Just like doctors and teachers, police officers are human and capable of making mistakes just like anyone else. 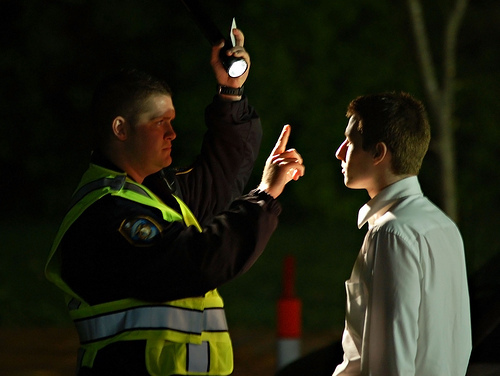 Like many jobs that require training, officers receive training in the Horizontal Gaze Nystagmus Eye Test and according to the National Highway Traffic Safety Administration, it is one of the three tests used to determine sobriety. This test involves an officer moving a stimulus, often a finger, back and forth in front of the drivers’ eyes, to see if the drivers’ eyes jerk when following the stimulus. There are, of course, things other than alcohol and nervous system depressants which can cause jerking in the eyes. Three to four percent of the general population has nystagmus at all times for reasons other than the consumption of alcohol. Some of these reasons include: influenza, streptococcus infection, measles, aspirin, excessive caffeine, and eye strain. The HGN Horizontal Gaze Nystagmus test is a very specific test, in that it requires the officer to do very certain things, in specific order, for the test to be considered valid and properly administered.